Infrastructure Secretary Kwesi Des Vignes said reconstruction of the Parlatuvier jetty was important for Tobago in the context of the “blue economy” (use of the sea and its resources for sustainable economic development) and he expects this project to move forward with the National Infrastructure Development Company (NIDCO) to oversee it. “We see the Parlatuvier jetty and the Parlatuvier community as a key port for that, the sustainable exploitation of the blue economy here in Tobago, the fishing sector in particular. And we want to ensure that there’s a safe jetty for the fisherfolk in that area,” he said. In August, Parlatuvier fishermen had called for urgent attention on repairing the jetty which they said had been in a dilapidated state for the last five years and was severely affecting their livelihood. Darlington Chance, President of the Parlatuvier Fisherfolk Association, had told Newsday Tobago then the jetty was in dire need of repairs. “We need help in Parlatuvier, the authorities seriously need to come in and look at our situation. Enough is enough, how much more must we take… the jetty is unsafe, it is shaking, it needs some rehabilitation work,” he said. He said the fishermen didn’t have any choice but to use the jetty as is, on a daily basis, offloading gas, coolers and other supplies. 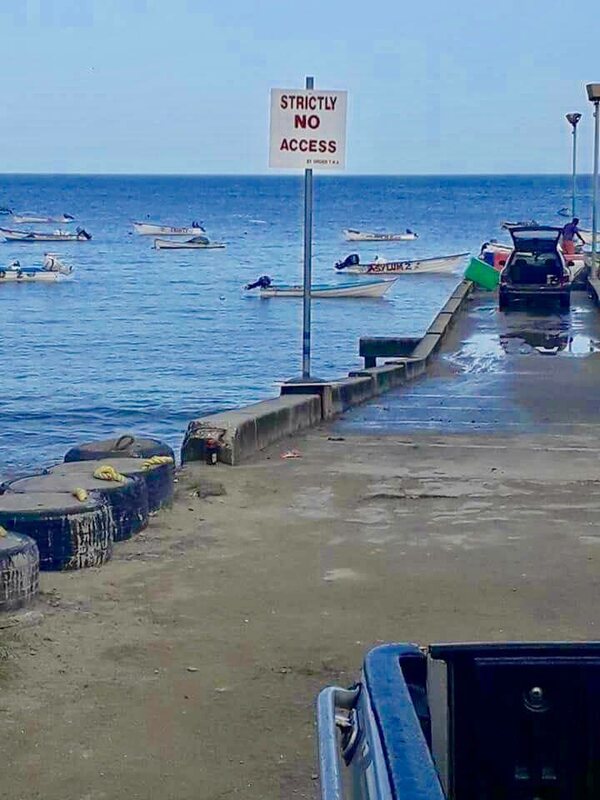 Chance, who described Parlatuvier as the number one fishing port in Tobago, bringing in the most fish, also said then that officials at the Tobago House of Assembly (THA) were fully aware of what was happening in Parlatuvier. “They are well aware… We met with the heads of the Divisions; the administrator, all of them and all that they are doing is promising. We are getting tired… all they are doing is promising and promising and promising… It is just a set of talk… they saying money is the problem, they don’t have money,” he said. The 2018/2019 THA fiscal package presented on June 24 by Finance Secretary Joel Jack included provisions for rebuilding of the jetty. Reply to "Kwesi: Parlatuvier jetty important to “blue economy”"